We are looking for a few individuals that will assist with promoting our legal benefits membership. You will post flyers at local designated locations. Some promotions may include you placing flyers on cars at different events or handing flyers to prospects at different events. This is a very easy position for someone with a neat appearance requiring your own transportation. Each event will last 2 to 4 hours with a distribution of 200 - 400 flyers. You will be paid $40 for the distribution of the flyers. BUT I do NOT want someone who is only interested in just the $40. The flyers are numbered, so...if a sale is later developed from the flyer, you will receive a commission. It is important that the flyers get into the hands of the community and not just trashed to make a quick $40! 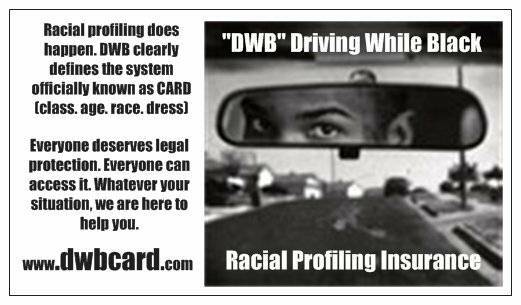 Please review the information here www.dwbcard.com and see if you agree that this message needs to be shared and the flyers need to be given out.